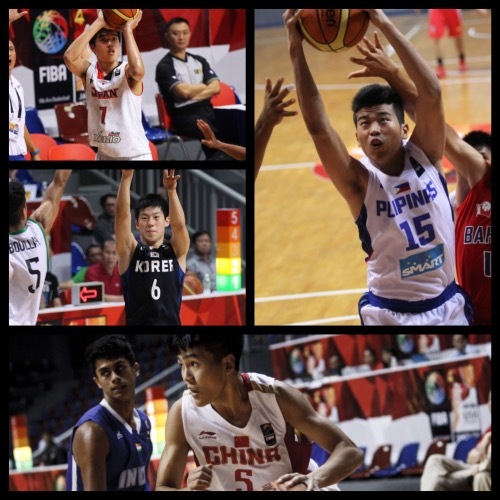 Three-time reigning champions China led a series of triumphant results for the favorite teams with all the medalists of the three editions of this competition ensuring fine form on the first day of the 2015 FIBA Asia U16 Championship. Here are the complete results from the first day of competition! There were some shaky moments for Japan in the first half here, but, by and large, they dominated the Kuwaitis en route to win #1 in the tournament. Yudai Nishida led the victors with 20 points on the strength of 6 triples. Pint-sized guard Rei Ito also impressed with 14 points, 7 rebounds, 8 assists, and 3 steals. 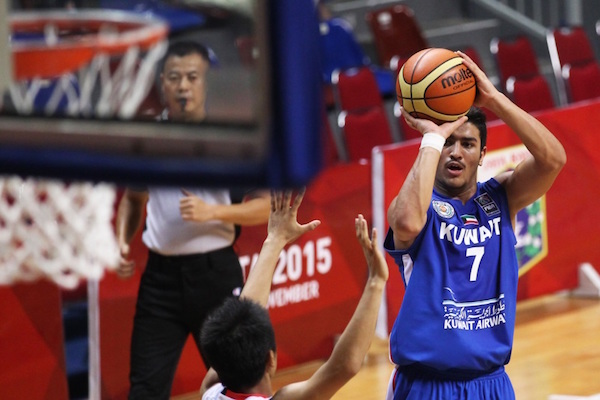 Masaed Al-Outaibi and Yousef Husain paced the losing side with 20 and 16 markers respectively. Masaed Al-Outaibi pulls up for a jumper. Team captain Taiga Kagitomi goes up strong. 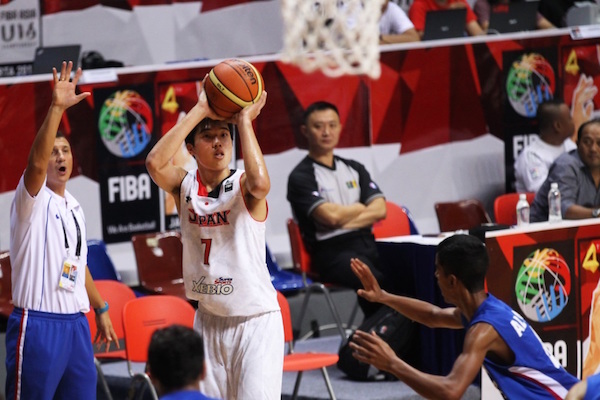 Yudai Nishida waxed hot from the perimeter for Japan. 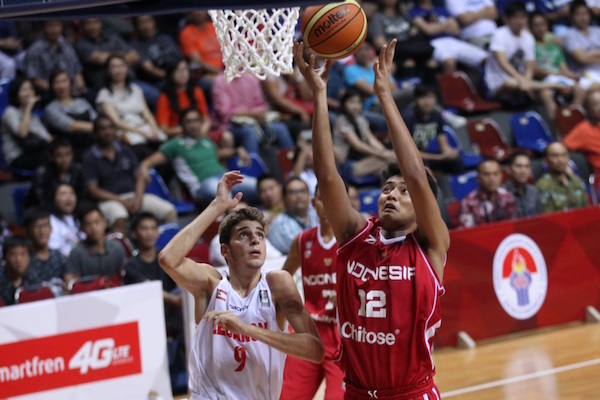 Yiu Pong Yip had a monster double-double to pace Hong Kong, scoring 17 points and grabbing 16 rebounds, but even that wasn’t enough as his team fell to Malaysia. On the other end, Joon Kang Lee and Kalven Lim led the winners with 12 and 13 markers respectively. Lee and Lim combined to hit 7 of Malaysia’s 10 triples. Taiwan wasted no time in asserting its dominance here, outscoring Bangladesh, 32-2, in the first canto and never lifting the foot off the gas. Tang Wei-Chieh was the best for coach Lin Cheng-Ming here with 27 points, 5 rebounds, 7 assists, and 5 steals. 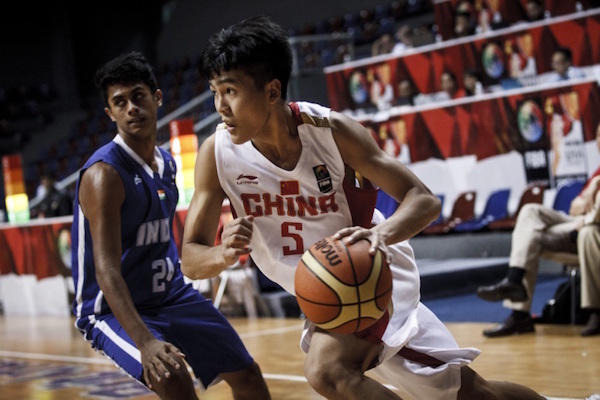 He was backstopped by Chen Fan Po-Yen and Lin Ting-Chien, who dropped 24 and 23 markers respectively. So dominant was Taiwan that they forced 58 turnovers from their foes. Mohammad Arifin Rahman was the lone bright spot for Bangladesh with a dozen points. 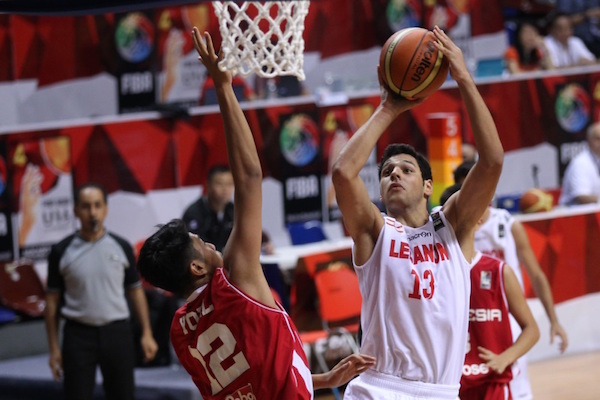 Lebanon started its campaign on a bright note, blowing the hosts out with stingy defense and torrid shooting. Lebanon forced 33 Indon turnovers and hit 51% of their field goals en route to the victory. USA-based Karim Zeinoun led the way with 15 points and 14 rebounds, while 6’5 Charbel Saad added an 11-point, 10-board double-double line. Nobody from the home team scored more than 8 points. Charbel Saad dominated i the paint for Lebanon. 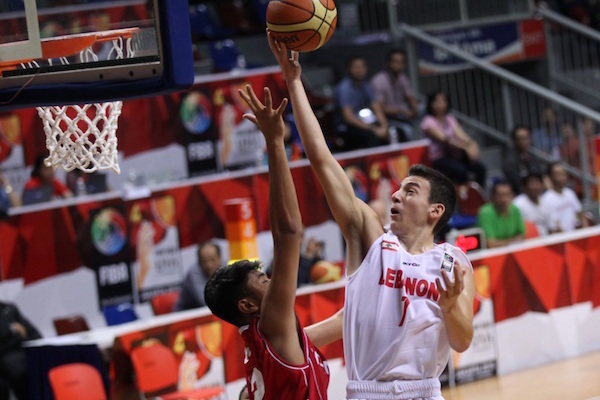 Karim Zeinoun attacks the basket strong against Indonesia. Yoel Agiavandi goes up to grab the rebound for the host country. The Filipinos started the game pretty well and were generally on cruise control throughout. 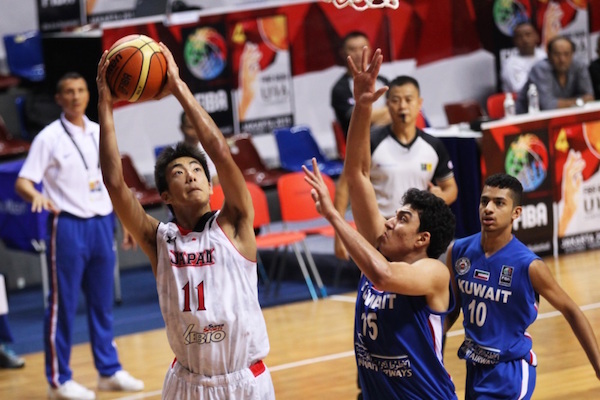 6’4 Will Gozum dominated the paint with 14 points and 9 rebounds for Batang Gilas, which is missing several key players from the team that ruled the 2015 SEABA U16 Championship. 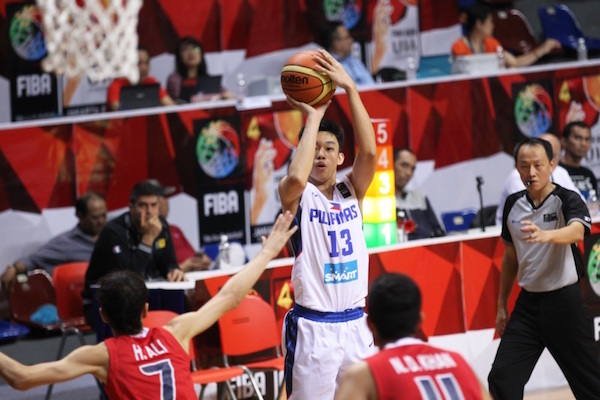 Four other Pinoys scored in double-digits led by Dave Ildefonso’s 16 markers and Juan Gomez de Liano’s 15. 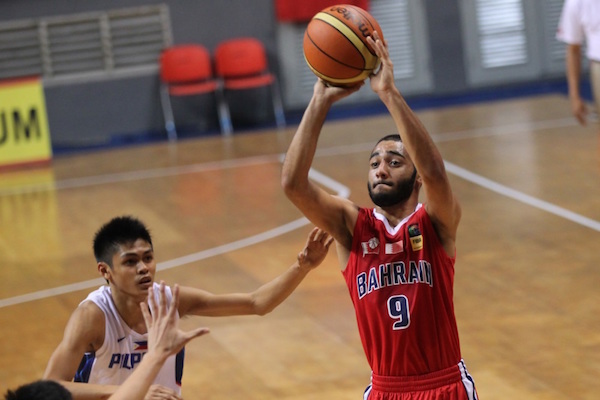 Fadhel Abdul-Husain paced Bahrain with 21 points, but he also coughed the ball up 21 times. Dave Ildefonso rises for the long range shot. 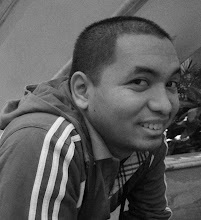 Fadhel Abdul-Husain tries to pull up in traffic. 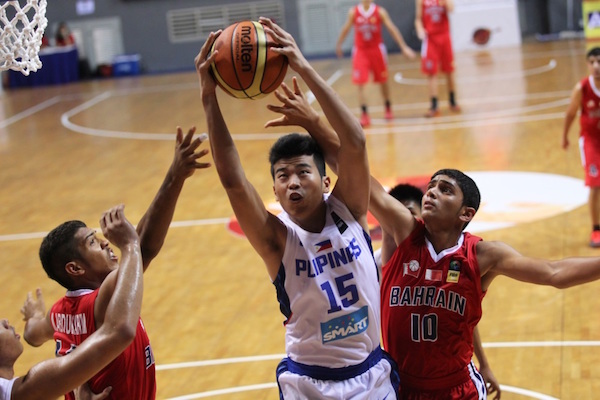 Will Gozum was dominant in the middle for the Philippines. The heavily-favored Chinese weren’t threatened in this contest, establishing an early double-digit lead that they would never relinquish. Li Xiangbo displayed all-around effectiveness with 7 points, 9 rebounds, and 5 assists, while Huang Rongqi paced the scoring with his 22 markers. 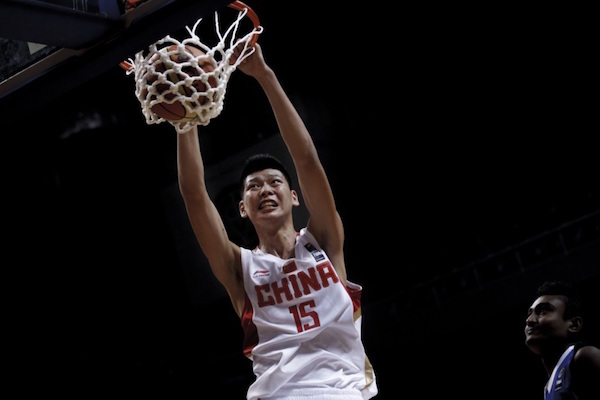 Han Yufeng also impressed with 13 points and 7 boards, while 6’11 center Zhu Rongzhen added 14 markers in 14 minutes. 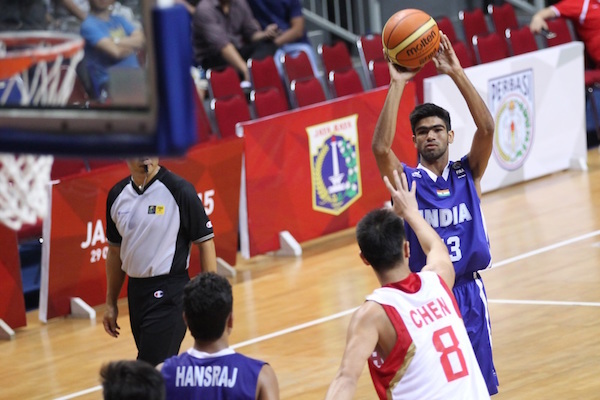 India had three guys score in double-figures led by Baladhaneshwar Poiyamozhi’s 18 points. Huang Rongqi throttles past his defender. Indian big man Tomar Harshwardhan pulls up for a jumper. Zhu Rongzhen emphatically slams one home for the defending champs. 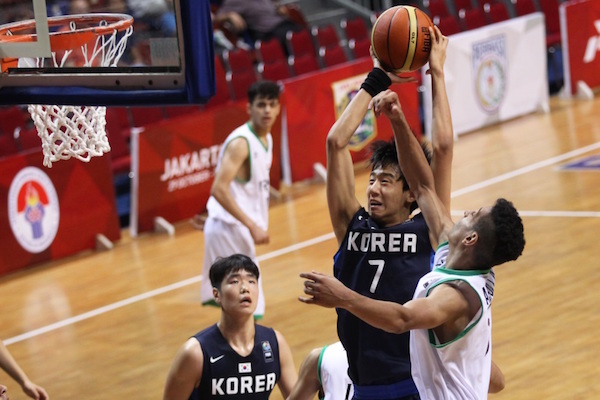 Iraq showed a lot of prowess in this match, leading at the half, 35-32, before succumbing to Korea’s superior depth in the final two periods. 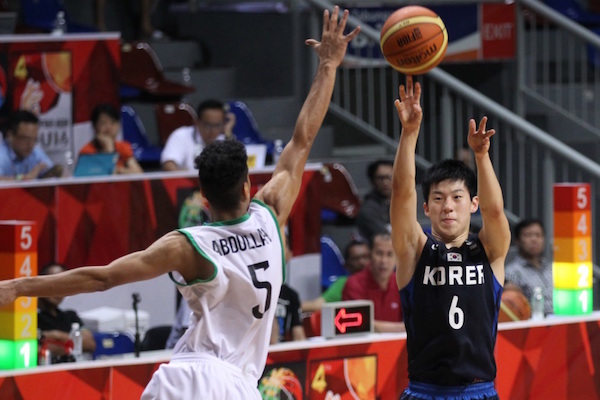 Lee Jung-Hyun starred for the victors here, hitting 4 triples on his way to 21 points on top of 5 rebounds, 5 assists, and 4 steals. Lee Hyung-Jun ably supported him with 21 markers of his own. He also nailed 4 treys. Shin Min-Suk took care of the frontline chores with 12 points and 11 rebounds. 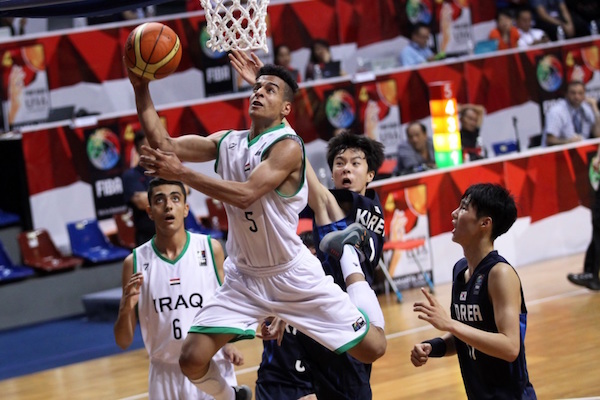 On the other end, Iraq had three players combine for 61 points: Abdullah Abdullah, Abbas Al Qarnawi, and Ahmed Jasim. Abdullah Abdullah rises for an acrobatic lay-up. Lee Jung-Hyun caught fire from beyond the arc. Yang Jae-Min goes hard to the rack.